Patricia McKillip is well-known for her beautiful, poetic writing style. She has won numerous awards for her stand-alone novels and short stories. Her fantasy epic RiddleMaster won the 1980 World Fantasy Award. Patricia McKillip lives in Oregon with her husband, poet David Lunde. RiddleMaster — (1976-1979) Omnibus edition. 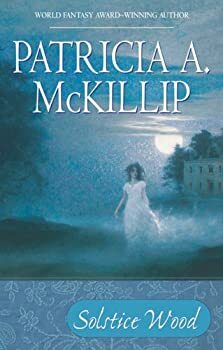 Publisher: For over twenty years, Patricia A. McKillip has captured the hearts and imaginations of thousands of readers. And although her renowned Riddle-Master trilogy — The Riddle-Master of Hed, Heir of Sea and Fire, and Harpist in the Wind — has been long out of print, it is considered her most enduring and beloved work. 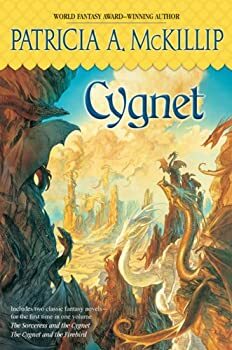 Now it is collected in one volume for the first time — the epic journeys of a young prince in a strange land, where wizards have long since vanished… but where magic is waiting to be reborn. My entirely subjective opinion of “epic fantasy” is that it is tedious, predictable and just plain boring most of the time. The same line-up of stock characters go on the same quest to save a land that is permanently stuck in the Middle-Ages. On the way they meet the same supporting characters (gruff dwarf, regal elf, mysterious wizard), collect the same treasures, get in the same tavern brawls, are betrayed by the same turncoats, and join in the same battles against the same old villains. They drink mugs of ale, eat nothing but stew, and ride horses that never seem to need food or rest. The story usually stretches on and on over several very long books, and sometimes the author actually dies before they get the chance to complete their saga. 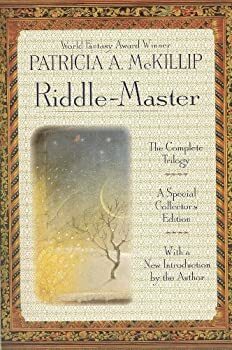 As one of Patricia McKillip's earlier works, The Forgotten Beasts of Eld provides an interesting comparison to her first publication Riddle-Master, a dense trilogy that made the most of her trademark poetic-prose. On the other hand, The Forgotten Beasts of Eld is a relatively slim volume with a clear concise style and a straightforward story. 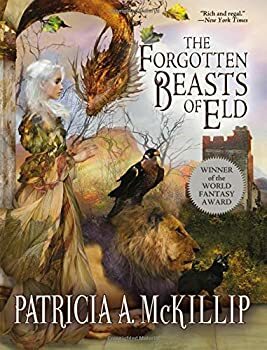 Since then, McKillip has managed to successfully merge the aspects of both works in her later works, but The Forgotten Beasts of Eld is by no means an example of a new writer still trying to find her voice. Far from it: The Forgotten Beasts of Eld has a fascinating premise, intriguing character interactions and a rewarding conclusion. 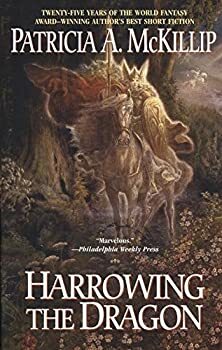 I'm a huge fan of Patricia McKillip's work, but it's taken me a while to get my hands on The Changeling Sea, and once read I found that it was a rather unique addition to her body of work. 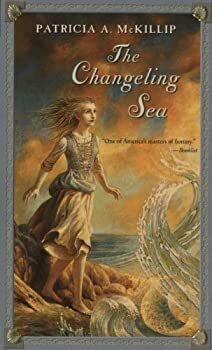 One of her earliest books (published back in 1988), and possibly her only work that was written specifically with a young audience in mind, The Changeling Sea is a slender novel with an extremely simple plot. Two Patricia McKillip books in a single volume, what could be better? 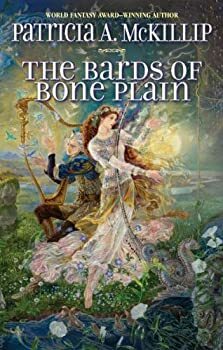 Patricia McKillip once again takes a seemingly simple plot and shapes into something mysterious and beautiful through the use of her poetic, luminous language. It must be said that McKillip's writing style is entirely unique, to the point where it is slightly off-putting to anyone reading it for the first time. Because she incomparable to anyone else I can think of, the best I can do to explain it is to say that her books are like Shakespeare in the fact that it seems indecipherable when you first begin to read, but after getting used to the technique, it gradually begins to make more and more sense till you can finally appreciate its beauty and the skill that went into creating it. 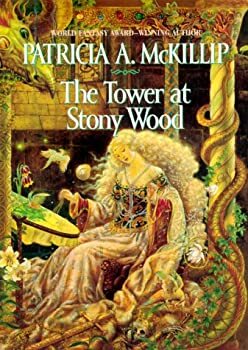 The first time I read Patricia McKillip, I didn’t get very far. The book was the Riddlemaster of Hed, and I was completely unprepared for her complex use of language. But there must have been something in her style that intrigued me, because I tracked down Winter Rose not long afterwards, and since then have been a big fan of all her work. 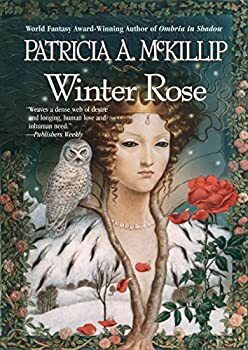 Out of all Patricia McKillip’s books (at least the ones I’ve read) Winter Rose is perhaps the most opaque. McKillip’s language has always been eloquent and atmospheric, often obscuring both plot and characterization, but in this case the plot itself is also rather vague and ambiguous. Based on the ballad of Tam Lin, this is a dreamy and mysterious tale of family secrets, unrequited love and the allure of faerie. 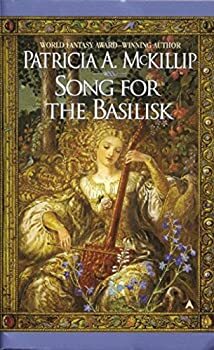 One of Patricia McKillip's earlier novels, Song for the Basilisk has all the hallmarks of her fantasy fiction: unique prose, ambiguous characters, fairytale settings, court intrigue, and a love of musical instruments. Here especially McKillip calls on her appreciation for viols, flutes, harps and picochets (the one-stringed instrument on the cover), in which music plays a crucial part in the narrative. 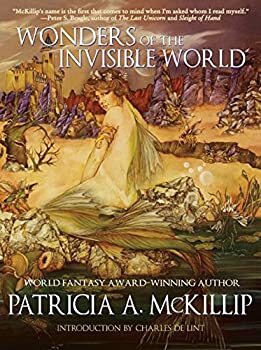 Patricia McKillip is one of the most unique fantasy writers out there, blending echoes of ancient stories in with intricate and elegant poetic-prose that may surprise those new to her writing style. I must admit that her work is an acquired taste, it took me a few tries to fully understand and appreciate her work; to grasp the story underneath the many-layered poetic language that she invokes. 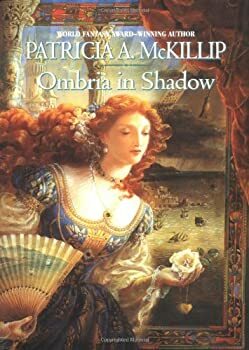 Like all of Patricia McKillip's books, Ombria in Shadow is a dreamy, intricate tale, made memorable by her distinctive poetic prose. Symbols, circumstances and meanings can be interpreted on any number of deeper levels, making her books ones to be savored and re-read. If you are a lover of eloquent poetry and subtle imagery, then let Ombria in Shadow be the first of McKillip's range of stories to let you drift away on language that must have been meticulously chosen in order to create a sense of faery and dreaming. 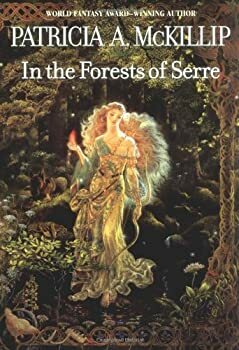 Patricia A. McKillip once more takes us into her intricate and ornate imagination with In the Forests of Serre, which has the feeling of an old fairytale that McKillip has discovered in some old book and fleshed-out for us in her unique style of writing. 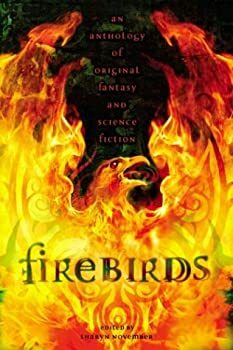 Combining several components from various myths and legends, (predominantly the Firebird and a witch who bears more than a passing resemblance to the Russian Baba Yaga), In the Forests of Serre is a book that McKillip's fans will find to their liking. 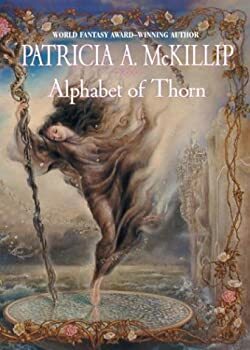 Once again Patricia McKillip crafts a wonderful story, and although I must admit that I haven't read all of her novels, I think it's safe to say that Alphabet of Thorn is one of her best works. Out of her many books I have read, this one is definitely my favourite. Her beautiful language, her startling imagery, her intricate plot, her mind-twisting ideas... all come together in this stunning story. 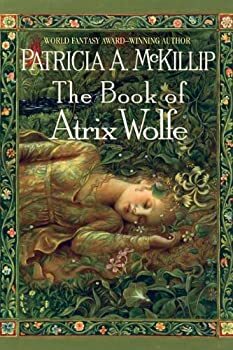 Patricia A. McKillip is the author of several wonderful books (my favourites being Alphabet of Thorn and Winter Rose) and is one of the few fantasists in the publishing world that is original. 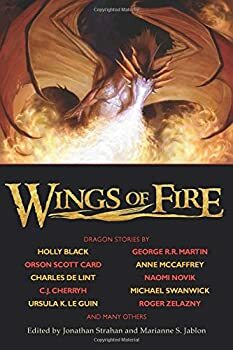 Although her stories may contain typical fantasy elements (dragons, heroes, kingdoms, quests, good versus evil, etc) they are written in such beautiful poetic-prose that the stories transcend the clichés they stem from; reading more as luminous fairytales than hum-drum fantasy. Although the prose is beautiful, it is also an acquired taste. When I was first introduced to her work, I found it rather difficult to adjust to a story that was often hidden under such dense, rich language. Of course, it's worth it in the end, but for those just starting out on McKillip, perhaps this anthology of short stories is a good starting place. The city of Numis is home to the famous Od School of Magic, founded years ago by the legendary giantess Od. She’s apparently immortal, but appears only occasionally, and therefore the school lies in the hands of the king Galin and the wizard-headmaster Valoren, who demand strict obedience from its students. Any unorthodox magic is outlawed, any student that step outside the boundaries set for them are expelled. This is especially true of any student who goes wandering in the Twilight Quarter of the city: a neighborhood that comes alive only after dark, a place of wild and uncontrollable magic that the king is determined to stifle. Solstice Wood is a sequel (of sorts) to Patricia McKillip's earlier novel Winter Rose. The latter book is a dark and intricate fairytale based on the ballad of Tam Lin, in which a young girl attempts to free her love from the designs of a faerie queen. 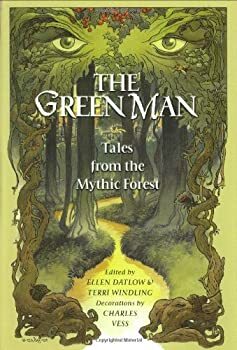 Though still set in the mountains around Lynn Hall, Solstice Wood takes place hundreds of years later, as contemporary men and women deal with the repercussions of Rois Melior's dealings with the fey-folk. Patricia McKillip’s latest novel takes us to the little fishing village of Sealey Head; tiny and inconsequential, and dominated by four influential families: the Cauleys (father and son innkeepers), the Blairs (a large family of merchants), the Sproules (rich farmers who have gained some degree of nobility) and the Aislinns (living in the crumbling manor house). Actually, there’s only one Aislinn now: old Lady Eglantyne, who lies dreaming in her bedchamber, waited on by a host of servants. The extensive cast of characters have interconnecting friendships, rivalries and romances with one another, but everyone in the seaport is linked by one specific peculiarity of their hometown: each night as the sun goes down, a ghostly bell tolls over the coastline. Patricia McKillip does it again! 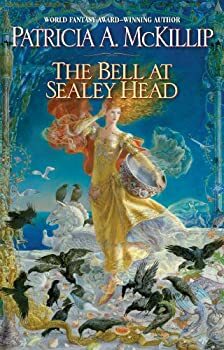 Unique among fantasy writers for her dreamy prose, her ability to meld complex characterization with original fairytale plots, and her ability to slip in a clever twist or two before the story’s end, McKillip returns to form after the slightly lackluster The Bell at Sealey Head (great build-up, terrible climax) with The Bards of Bone Plain. 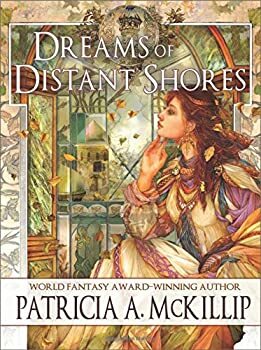 I love Patricia McKillip’s writing, and was excited to hear she had a short story collection coming out. I really enjoy reading short stories because I think it’s a good measure of what a writer can do – distill down the essential elements of story to a concentrated core of who they are as a writer. Upon opening the collection I was slightly disappointed to realize that these were all stories that had been previously published, many of which I had read before. However, it was an interesting experience for me to rediscover some of these stories for a second time, and to compare the effect of the stories I had read before to the ones I was reading for the first time. Knights dress in black and ride motorcycles, sorcerers and sorceresses run restaurants, and maybe your grandpa isn’t actually crazy. Such is the world in which Patricia A. McKillip’s Kingfisher takes place. 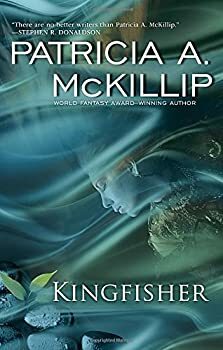 Though it may begin with a deceivingly simple quest of a young man looking for his long-lost father, Kingfisher becomes much more than that very quickly. It ends up following the stories of four young people as they navigate their changing worlds and values as well as deftly interweaving their lives in surprisingly satisfying ways. I was leery (and a bit confused) at first, but Kingfisher delivers an enchanting tale of ancient-feeling magic in the modern day. The House on Parchment Street — (1973) Ages 9-12. Publisher: While staying with her cousin in England, a young girl helps him find a way of helping the troubled ghosts inhabiting the cellar of the house. The Throme of the Erril of Sherrill — (1973) Ages 9-12. Publisher: A knight goes in quest of the non-existent throme of the Erril of Sherill since the king will not allow his daughter to marry without it. Stepping from the Shadows — (1982) Publisher: ONCE UPON A TIME there was a girl named Frances, an “army brat,” who lived in a world of make believe where cactuses were a giant’s green fingers, the hills were full of unicorns, and the great antlered Stagman hid in the churchyard shadows. And then Frances grew up. But the Stagman wouldn’t go away… Now her fantasies follow her from the classroom to the streets, from singles clubs to golden beaches; and everywhere he waits. The barbaric mangod more sensual, more dangerous than any mortal lover. Silent as a dream, the Stagman is coming for her. Stepping from the shadows. And all he demands is her sanity. Moon-Flash — (1985) Publisher: Kyreol’s small world begins at the Face, a high rock cliff, and ends at Fourteen Falls, a series of rapids. Each year, her people celebrate Moon-Flash-a spark of light that seems to come from and go into the moon, a symbol of life and joy. When a mysterious stranger arrives, Kyreol wants to know more about him, as well as the Moon-Flash, and soon she and her childhood friend Terje leave their home to look for answers. Those answers will pluck Kyreol from Riverworld and transform her life forever-by fast-forwarding her into a future she can barely comprehend. 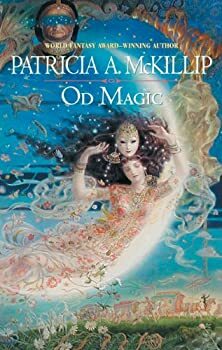 This omnibus edition combines the acclaimed Patricia A. McKillip’s two science-fiction novels, Moon-Flash and The Moon and the Face-at the request of Firebird readers. 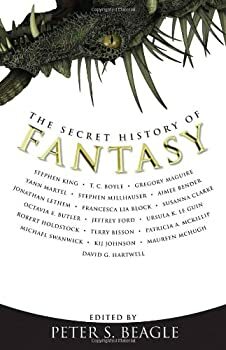 Something Rich and Strange: A Tale of Brian Froud’s Faerielands — (1984) Winner of the 1995 Mythopoeic Fantasy Award for Adult Literature. Publisher: They have lived among us for centuries — distant, separate, just out of sight. They fill our myths, our legends, and the stories we tell our children in the dark of night. They come from the air, from water, from earth, and from fire. What are these creatures that enjoin out imagination? Faeries. Something Rich and Strange creates a faerie story that’s not to be missed: Megan is an artist who draws seascapes. Jonah owns a shop devoted to treasures from the deep. Their lives, so strongly touched by the ocean, become forever intertwined when enchanting people of the sea lure them further into the underwater world — and away from each other. Fool’s Run — (1987) School Library Journal: Master of fantasy McKillip has turned her considerable talents to science fiction, fashioning a riveting tale of romance and mystery. The beautiful golden-faced musician known as “The Queen of Hearts” hides her past and her identity from her mentor, the Magician, and from her lover, Aaron Fisher, while her notorious twin sister Terra remains imprisoned in the Dark Ring of the Underworld, an orbiting prison colony, for mass murder. A rock concert on the Dark Ring provides the means for Terra to escape; the ensuing pursuit forces each character to confront the reality of her vision: not madness but a very real alien form struggling to be born somewhere in the universe. The strong emphasis on music and the rock group that plays it will appeal to YA readers as will the language that amazes and delights at every turn. CLICK HERE FOR MORE WORK BY PATRICIA MCKILLIP.